Our Audit & Attest department performs a wide range of services for businesses in the construction, architectural and engineering industries as well as for non-profit and government related entities. Our audit staff specializes in A-133 Governmental compliance audits, AASHTO audits of A & E firms and also provide basic financial statement audits and reviews. Our audit department is guided by Krystyna S. Holc. Krystyna is a licensed CPA and the Partner in Charge of Audit and Accounting Services at Goodsell & Company, CPAs. 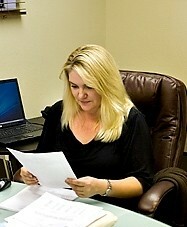 She has over 20 years experience in public accounting and has extensive audit and tax knowledge. She is known for working closely with her clients and providing exceptional customer service.